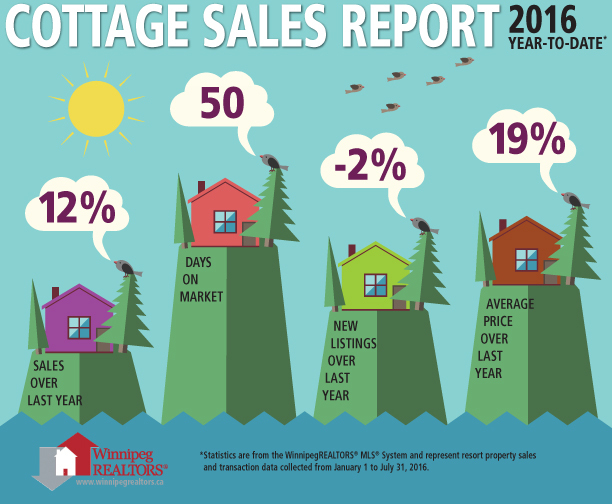 WINNIPEG – July sales finished slightly above the 10-year average of 1,330 MLS® sales for this summer month. However they fell short of last year’s near 1,400 sales and the record year of 2014 when July sales reached close to 1,500. 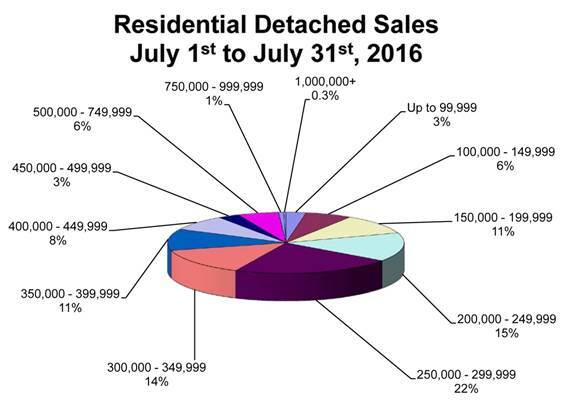 Despite the year’s July numbers, year-to-date MLS® sales activity is ahead of any previous year with 5 months to go. Both new listings coming on the market in July and the inventory at the end of the month were down 8% from 2015. Yet they would be considered elevated especially in comparison to the 10-year average. For example, the 5,291® MLS® properties presently listed on the market for August are up 28% over the 10-year average. MLS® sales of 1,350 were down 3% from July 2015 while dollar volume fell short by 2% in comparison to the same month last year. But year-to-date MLS® sales are up 7% and dollar volume has increased 9% over the same seven-month period in 2015. Given the run-away dominance of residential-detached sales at 74% of total MLS® sales and condominiums contributing over 12% of sales, other property types comprise far less market share and consequently are all in the low single digits. Having said that, it should not detract from how well other property types are doing in comparison to 2015. With the exception of rural and duplex classified property types, which are only keeping pace with last year, most other MLS® property types are experiencing double-digit increases. Vacant land with building is up 155%, town houses – 93%, mobile homes – 25%, commercial – 24%, vacant land – 18%, and resort property – 12%. The most active price range for residential-detached sales in July 2016 was from $250,000 to $299,999 at 22% of total sales. 15% of the sales activity was from $200,000 to $249,999 and close behind at 14% was the $300,000 to $349,999 price range. The highest sales price was $1,275,000 while the lowest was only $15,000. The average number of days to sell a home was 30, 3 days faster than July 2015. The most active price range for condominiums in July 2016 was from $150,000 to $199,999 at 34%. The second busiest price range was from $200,000 to $249,999 at 19%. Only 7% of condo sales in July went for over $350,000. The highest one sold for $899,000. The average days on market for condominium sales in July was 44, 3 days slower than July 2015. Established in 1903, WinnipegREALTORS® is a professional association representing over 1,900 real estate brokers, salespeople, appraisers, and financial members active in the Greater Winnipeg Area real estate market. Its REALTOR® members adhere to a strict code of ethics and share a state-of-the-art Multiple Listing Service® (MLS®) designed exclusively for REALTORS®. WinnipegREALTORS® serves its members by promoting the benefits of an organized real estate profession. REALTOR®, MLS® and Multiple Listing Service® are trademarks owned and controlled by The Canadian Real Estate Association and are used under licence.